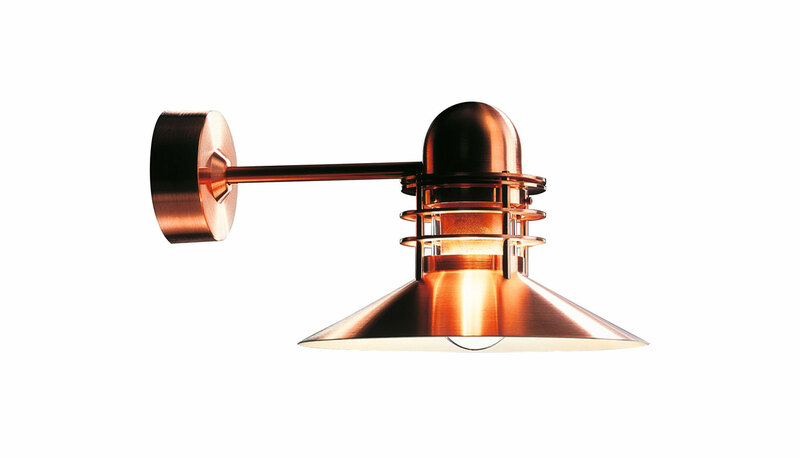 The Nyhavn wall light has a conical shade that ensures comfortable light that is directed downwards in a wide beam. The shade interior has a white matte painted surface, ensuring uniform light distribution. The rings ensure that a stray light is controlled, and direct a small amount of light onto the top side of the shade for self-illumination. Clear glass diffuser. Available in a copper or white finish. This fixture should be surface mounted directly to finished surface over a recessed 4" octagonal junction box. Suitable for wet locations. UL listed. Manufactured by Louis Poulsen.